Powder Alloy Corp is a versatile manufacturer and global supplier of metal, ceramic, and carbide powders. We serve a variety of industries including oil & gas, power & energy, bio-medical, aero and industrial gas turbine, as well as emerging markets such as additive manufacturing. For over 40 years, our strict adherence to quality standards in combination with our personal commitment to providing the highest level of customer service has made PAC a strong provider in the global market. As a privately-held company, we are dedicated to being flexible and responsive to our customers. We pride ourselves on personalized service and the development of products that will meet our clients’ specifications and exceed their expectations. We feature an extensive catalogue of OEM approvals and internal manufacturing standards that are designed to increase efficiency and reduce your costs. Our inhouse technologies include inert gas atomization, composite cladding, agglomeration and sintering, plasma densification, and hydride/de-hydriding. 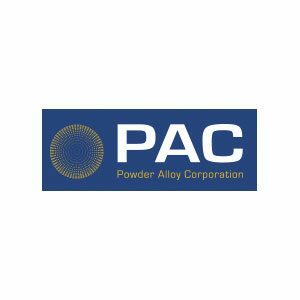 PAC also offers a variety of particle sizing options as well as custom R&D alloys.Consistency and quality products are what you can expect from PAC. Our strict monitoring of materials in production provides reliability in sizing, density, and flow characteristics, thus enhancing the coating reproducibility and robotic spray parameters of our alloys. By focusing on a strong business network and the technical expertise of our employees, PAC continues to expand our services to meet all of our clients’ requirements.